The list below may be daunting to follow since it goes against the nutritional guidelines that we have believed for the past 50 years or more. If you need help understanding why a high-fat diet is crucial to a healthy body, please watch "The Magic Pill"
Below is a list of good foods that will support your body in the journey to heal itself, and a list of bad foods that will prevent absorption of minerals and vitamins and even cause damage to your body. If you are serious about your health, this lifestyle change is vital to optimal absorption and results. The decision to educate and empower yourself for longevity and the healthiest version of you. Eggs – It should be the staple of your diet. They are considered to be truly one of the greatest Super Foods. They contain vital cholesterol that your brain, nerves, and hormones must simply have in order to function. 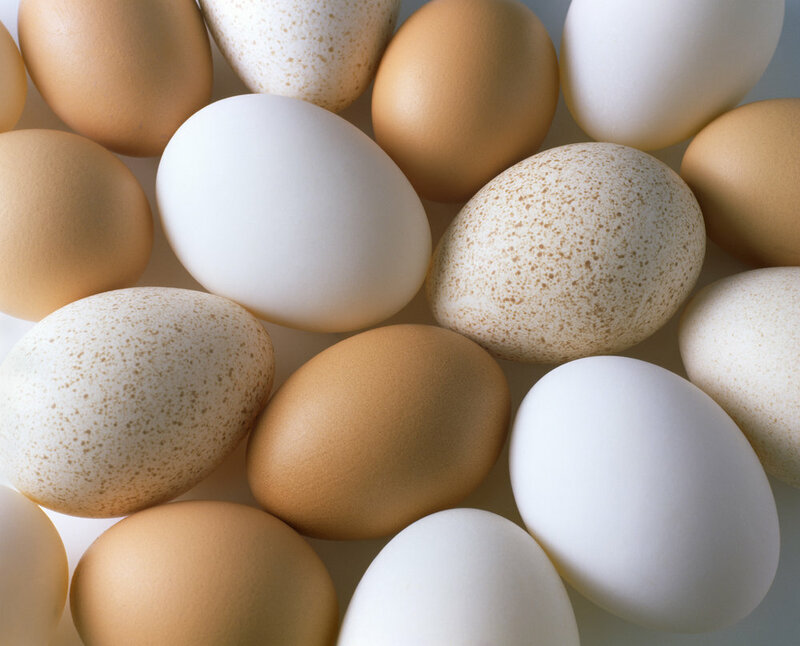 Eggs also provide a variety of proteins, yeah phase, vitamins and minerals. You should never over cook the eggs, cook them soft, scramble in butter and salt, boil them, poach them, or eat them raw in a smoothie. If you hard boil an egg and the yolk has a greenish coating, this means the cholesterol has been degraded, so it is best not to overcook. If you are allergic to chicken eggs then you can try Goose, duck, or quail eggs. Salt – Use as much salt as you want! Why? "Salt has nothing to do with high blood pressure" – Dr. Joel Wallach. Those who do not consume salt set themselves up for Digestive issues and other health issues. Salt is an essential nutrient. You cannot live without sodium chloride. Dairy – Full fat milk only. No skim, 1, or 2% milk. Nuts – avoid nuts roasted in oil, or nut products with oil added. Remember most peanuts are contaminated with fungus so it is recommended you don't eat them. Millet – pure buckwheat this isn't wheat it is a different grain. Corn – Corn is one of the foods we suggest buying organic because most controversial. Corn is genetically modified which can hurt your digestive tract. Filtered Water – Dr. Wallach recommends avoiding any alkaline waters before or while eating since it neutralizes stomach acid such as carbonated drinks, which prevent digestion and absorption of nutrients. Wheat, barley, Rye and Oats/Oatmeal – The grains we eat today have been altered to withstand weather, insects, and weed killers resulting in a gluten protein that our stomachs cannot break down. The gluten travels through our intestinal tract undigested, it destroys the Villi and micro-villi that is meant to absorb nutrients from our food. This leads to digestive, chronic health problems, and diseases. This includes some alcoholic beverages. Dr. Wallach says to avoid these grains even if it stays on the package that they are gluten free. Fried foods – When you fry food it produces acrylic and free radicals. These are carcinogenic and will cause inflammation in your digestive tract and arteries, oxidation damage to your nerves and soft tissues, and result in certain cancers. Oils – Cooking oils, olive oil, even coconut oil oxidizes when oxygen comes in contact with it. When you eat oxidized oil, it causes inflammation, oxidation damage, and destroys tissue in the body. Most oils on the market are rancid, as they have air in the bottle, and begin to oxidize the minute and is exposed to air. You have no idea how old it is, how much he it has been exposed to or how long it has been on the Shelf. Well done meat – Carcinogenic heterocyclic amines are created by cooking Meats at very high temperatures when grilling make sure the Flames do not touch the meat or let the juices of the meat hit the charcoal and burn it with burnt smoke. Deli Meats / Cold Cuts – Most deli meats, hot dogs, and bacon have nitrates and nitrites in them used as preservatives. Nitrates and nitrites cause inflammation, tissue destruction, oxidation, and free radical damage. If you can get nitrite/nitrate free deli meats, then you are okay to consume them. Most of them contain various forms of gluten as a binder. Make sure you do your research on the dangers of celery root powder being used as a preservative. Carbonated beverages – Carbonated beverages neutralize stomach acid and reduce your ability to judge just and absorb the nutrients from foods and supplements of phosphoric acid is especially bad for you, and we'll rob calcium from your bones. Potato, yam, or sweet potato skins – The skin is okay to eat if boiled or covered while baking. The reason for not consuming crispy potato skins is that if over-cooked, they create carcinogenic heterocyclic amines. A note about Hypothyroidism. If you suffer from hypothyroidism (underactive thyroid) you need to avoid eating coniferous vegetables because they will suppress and reduce thyroid function some more common examples of coniferous vegetables include: horseradish, kale, collard greens, cabbage, brussel sprouts, broccoli, cauliflower, bok choy, turnip, mustard seed, arugula, watercrest, radish, and wasabi. No statements on this website have been evaluated by the FDA, and there for not intended to diagnose, treat, cure, or prevent any disease. This site has not been endorsed, authorized, supported, or approved by Youngevity.